Offering you a complete choice of products which include storage tank - stainless steel, juicer mixer tank with heating arrangement, colloid mill juicer, industrial emulsifier, semi automatic filling machine and platform trolley. 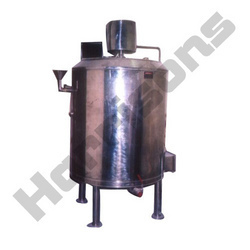 Inner chamber of the Juicer Mixer Tank With Heating Arrangement offered by us is made using S.S. – 304. 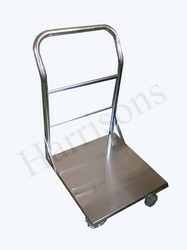 Only high quality stainless steel is procured for our pharmaceutical equipments. 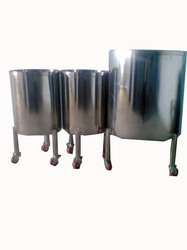 Further, these juicer mixer tanks are provided with S.S. legs, wheels, removable type lid at the top and electric heaters. These equipments are thermostatically operated with panel box. Customers are provided with an optimum quality Colloid Mill Juicer, which is made available to them at industry leading prices. 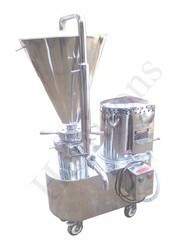 These juicers are provided with motor, hopper and bottom drain. The contact parts of these colloid mills and juicers are manufactured using SS 304. Processing capacity of these equipments is 200 kg. All the contact parts of Industrial Emulsifier offered by our organization are manufactured using S.S. 304. These equipments are mounted on heavy SS angle frame hangers. 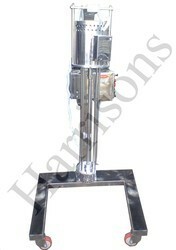 Arrangement for height adjustment has also been made for the convenience of the end user. Impellers of these products are specially designed to suit the HP of the drive. Our company has been acknowledged in offering Semi Automatic Filling Machine to the clients. This product is manufactured by using utmost quality raw material and advanced technology at production unit. Offered range is extensively used by a number of industries for fast and efficient washing. 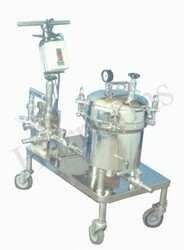 Semi Automatic Filling Machine is available in different shapes and sizes to meet the diverse industry requirements. Offered range is stringently testified by quality inspectors on various quality parameters to ensure best quality product delivery to prestigious patrons. 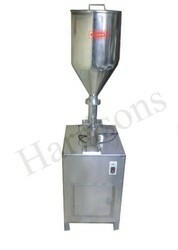 Looking for Syrup Manufacturing Machines ?